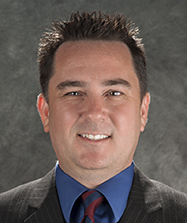 Scott comes to Blake Real Estate with over 15 years of experience in the construction industry. Scott started his career with Moore’s Lumber in Roanoke, VA as a special operations/property manager traveling the east coast building and remodeling stores. After which, he went to work for SAS construction in Blacksburg, VA as a project manager overseeing the construction of 60 single family homes, two 200 unit apt complexes and 80 town homes. Wanting to get a taste of the commercial life, Scott took a position with Pulte Homes as the customer relations manager and moved to DC. He helped guide clients through the home building process and completed punch list walks and warranty issues. Scott then decided that remodeling homes would be more challenging and went to work for Arlington Property Ventures flipping run down forgotten homes into multi-million dollar high end custom homes. Most recently before joining the Blake Real Estate team, he worked for UIP as a project manager successfully completing the full renovation of a 110 unit prewar apartment building into new luxury apartments. Scott lives on Capitol Hill and likes to spend his free time in his wood shop building furniture or back home in southwest Virginia on the family farm. 1150 Connecticut Ave NW, Washington, DC 20036 © Blake Real Estate, 2017, All Rights Reserved.